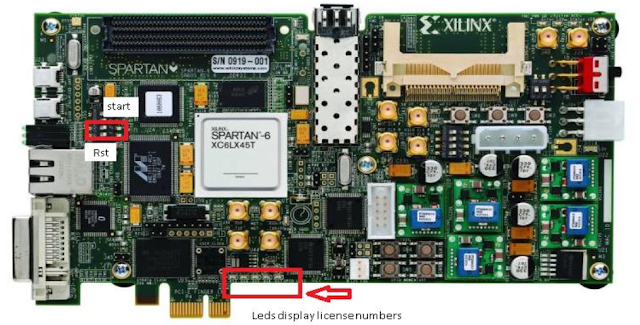 A plate license recognition system is implemented in Matlab and then it is implemented on FPGA Xilinx Spartan-6 using Verilog. Below is the test environment for the system on FPGA. Image memory: 10 images and convert it into .dat format ( gray data). 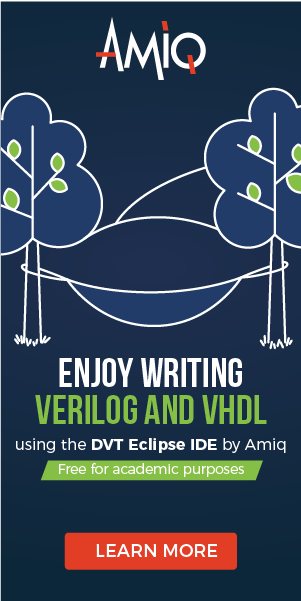 We use $readmemh(synthesizable) Verilog command to initialize the memory by reading gray data from .dat file. 10 images are converted into Gray format and write to the .dat file by using Matlab. Plate License Recognition core: Use a switch on FPGA as the “start” signal to trigger this core working and output the plate license numbers. Monitor on LEDs: When the “done” signal is rising-edge, this block periodically displays plate license numbers. I am interested in replicating this FPGA project and was wondering if you can provide some code and documentation that I can use. Thank you for your time it is very much appreciated. I am doing this same project for final year.Can u plz provide me the code and steps for implementing it. Do we need any separate program for character recognition and Detection? We need many more others code for recognition. Not only the code above. Do you have all the codes to implement this on fpga?If yes,can you tell me how to get it? does anyone have the complete code for this project? will the above code work for the number plate recognition project? Hi, this is just an example code for reference. Full code for this project is not provided. This project is complicated and it takes time to do. Try to spend some time on it to learn even more.